You may ask what pollution or climate change has to do with breast cancer. Why would a national breast cancer watchdog organization care about either? The answer is simple: Natural gas extraction otherwise known as fracking. As long as fracking is linked to any plan to solve climate change, the health of women (and men) is at risk. Nearly a quarter of a million women will be diagnosed with breast cancer in the United States. Approximately 40,000 women will die in 2013 of the disease and as long as those numbers continue to remain high, Breast Cancer Action, as the national watchdog of the breast cancer movement, will not stand aside and permit efforts to solve climate change that ultimately jeopardize public health. Fracking involves injecting millions of gallons of water mixed with tens of thousands of gallons of chemicals at extreme pressure to break up rock formations and release natural gas. Approximately 40,000 gallons of chemicals — many of which are known to harm human health — are used each time a well is fracked. Around 700 chemicals are routinely used in the process of drilling and fracking, many of which are not disclosed by fracking companies; and many of which are associated with a host of diseases and disorders ranging from respiratory illnesses and reproductive problems to cancers, including breast cancer. 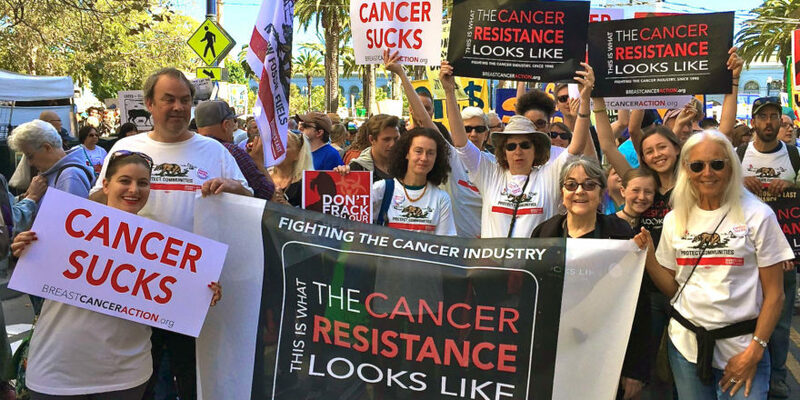 A number of chemicals used in fracking such as Benzene, Acrylamide, Ethylene Oxide, and formaldehyde are well-known carcinogens which increase the risk of breast cancer. Fracking also involves the use of endocrine disrupting chemicals such as Bisphenol A that can lead to increased risk of breast cancer and reproductive problems. Other chemicals used in fracking are labeled as “chemicals of concern” because of their link to myriad health harms. During her work to enact Obama’s Climate Action Plan, McCarthy will have to address America’s burgeoning natural gas industry and the controversial extraction process of fracking. But will she do this will an ethical eye to the impact of fracking on the health of future generations? The moral imperative raised so pointedly by the president is the precise reason that any plan to address climate change must not include fracking for natural gas. What good is solving the climate crisis with clean energy if the process by which the clean energy is extracted is polluting and toxic? Our responsibility to the well-being of current and future generations means we must not trade on our health for reduced carbon emissions. Expanded production and use of natural gas means an increase in the dangerous practice of hydraulic fracturing, or fracking. Today, there are approximately half a million active gas wells in the U.S. Nine out of ten of them are fracked and the number will only continue to increase as energy companies strive to reach natural gas reserves that are too expensive to simply drill or that have already been depleted by old-fashioned drilling methods. While the president has suggested that natural gas burns cleaner than coal, this assertion rests on a fallacy that separates the fuel we burn from its process of extraction. Only if we naïvely pretendthat natural gas magically appears in our homes to fuel our gas ranges and heaters can we possibly believe that natural gas is a clean source of energy. In truth, the process of natural gas extraction releases huge quantities of methane — a greenhouse gas many times more damaging than carbon dioxide — and requires the use of huge numbers and vast quantities of toxic chemicals. Simply put, fracking is not ‘clean’ energy, and we cannot continue to pretend that reliance on natural gas is good for current and future generations. The EPA, the organization Gina McCarthy is now tasked to lead, estimates that each year up to 35,000 new wells are fracked in the United States. The president’s proposal will only increase this number as well as our exposure to the dangerous chemicals used. Furthermore, most of us will never even see these chemicals. Unlike residents whose homes border fracking sites, the water from most people’s faucets won’t light on fire. Unlike farmers who live near fracking wells, we won’t be picking up dead and diseased livestock. Nor will we pick up the taste or smell of these harmful chemicals in the food we eat or the air we breathe. But the chemicals are there: less than half of the fracturing fluid is recovered in clean-up efforts and the rest of the toxic fluid is left to seep into the ground leaching into our soil and ground water supplies, and ultimately poisoning our bodies. This is not only a problem for the families who live near fracking sites, it poses a threat to all of us: no matter where we live, we will be exposed to contaminated water, food, and air. We cannot solve climate change by substituting exposing ourselves and our children tochemicals that increase the risk of breast cancer and other diseases and health harms. Offering up breast cancer and other diseases as sacrificial lambs in the name of solving climate change is wrong. The president’s plan for addressing climate change requires us to kick a toxic can of health harms down the road. In so doing, we betray our obligation to protect the health and well-being of current and future generations. Together, we need to call on the president to protect public health and the planet we live on, and we need him to do this without asking us to choose one over the other; without us having to choose the health of one generation over another. There’s nothing clean about natural gas fracking just as there is nothing pretty or pink about breast cancer. Let’s hope that Gina McCarthy’s first act will be to connect the dots that reveal the ugly side of fracking rather than attempt to tie a pretty pink ribbon around it and call it progress. Breast Cancer Action, and all activists who care about public health and breast cancer, don’t buy the hypocrisy of pink ribbon cause marketing campaigns as the way to address and end breast cancer and we don’t buy fracking, no matter how green the rhetoric, as a way to correct climate change.